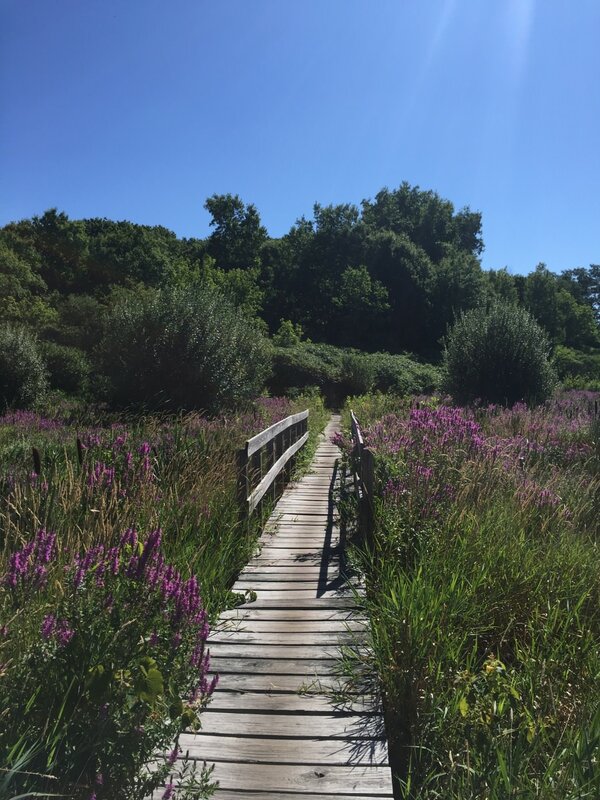 The Western Greenway Trail offers runners, hikers, and mountain bikers trails of various length and difficulty just 20 min from downtown Boston. The 4 mile out-and-back option starts at James Falzone Park and ends at Beaver Brook Bridge. At times the terrain can be quite technical (i.e. roots, rocks) so you'll need to watch foot placement. The trail is relatively flat with a few rolling hills. A 4-mile run on the Western Greenway will take about 45 minutes to complete; for a more advanced trail runner, closer to 35 minutes. The terrain is technical in spots and while the elevation change is minor overall, there are several small ups and downs. The trail is well maintained and accessible spring, summer, and fall. In winter it may be possible to snowshoe or run in a more durable trail shoe that's water resistant. With the legacy of the Boston Marathon, the city of Boston itself has always been regarded as a big running city. The Charles River bike path is a seemingly endless supply of paved trail, but Boston also has its share of trails. The Western Greenway trail systems offers terrain for everyone, ranging from a wildlife sanctuary, shaded forests, a bog, and miles of carriage roads. One word, options. The Western Greenway trail snakes through parts of Belmont, Arlington, Lexington, and Waltham. A favorite section is Beaver Brook Reservation in Waltham, which offers several different trails to play on. The signage is fairly minimalist so for the first few times out, we'd suggest trying shorter routes until you're more familiar with the area. If you start at James Falzone Memorial Park and take it all the way to the Beaver Brook Bridge that's exactly 2 miles, which makes a great 4 mile out-and-back run. The trails are also great for those who just want to get outside and hit the trails with no watch or GPS. Another reason to love the Western Greenway is the terrain. Parts of the trail can be quite technical, offering the usual suspects like roots, rocks, and logs. On top of that, you'll find the scenery quite picturesque and diverse. 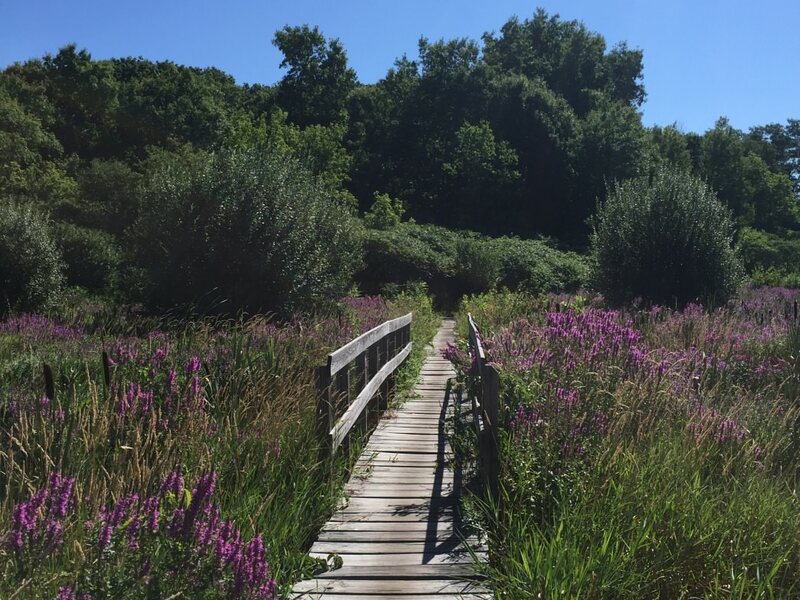 In fact, there's a beautiful boardwalk that spans across a bog. If you're up early enough it's also a great spot to catch the sunrise. While the trails are certainly great for hikers, it's trail runners and mountain bikers that will find the most excitement. With very little elevation change you'll be able to move quickly and during the spring months, it's a great place to kick up some mud. It's the ultimate trail for finding your flow just 20 minutes from downtown Boston. The trails can be accessed via multiple spots across Belmont, Waltham, Lexington, and Arlington. A favorite spot (with plenty of parking) is the James Falzone Memorial Park. You can park here for free and there's even a porta potty, which is well maintained. The trail starts at the back of the soccer field and you can either take it right towards Waltham or straight towards Beaver Brook Reservation.